Feminized cannabis seeds have conquered the market and cannot be ignored anymore. Seeds from which only female plants come forth are a big advantage for the growers that no longer have to remove the males from their plants, diminishing the risk of males being overlooked or discovered too late, causing there to be seeds in your weed. Plants from feminized seeds are not inferior in taste and effect compared to regular plants and are therefore ideally suited to your stock your weed supply and to enjoy smoking or consuming it. you have made me too happy! 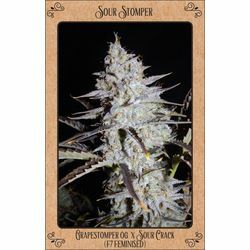 Very good Seed Quality - fast shipping good Shop ! I will only buy from this store. Feminized seeds have been created in such a manner that they contain no male chromosomes. This ensures that 99% of all plants that are cultivated with feminized seeds, will develop into a female plant. It was circa 1980 that the first feminized seeds came on the market. Nowadays it is hard to imagine that there was ever a time where feminized seeds did not exist. 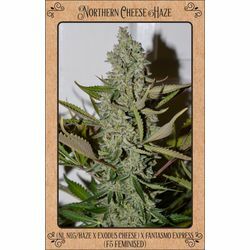 For breeders, feminized seeds are extremely convenient during the growth and flowering period. When growing with regular seeds (which will produce both male and female plants) it’s important to remove all the males before the first flowering phase since otherwise they would pollinate the female plants which will cause your weed to be full of seeds. Pollinated cannabis that has seeds is very unpleasant to smoke and should be avoided. At the same time, the removal of the males costs valuable space in the flowering area, which in turn is detrimental to the yield of your breeding space. How are feminized seeds created? Cannabis plants essentially all have male and female chromosomes, this is a natural strategy to survive and to ensure offspring even if no males are present. Nature has arranged for female plants to produce a small number of male flowers in order to achieve a partial pollination, which ensures the survival of the species. Seed breeders have managed to stimulate a female plant so that it will release female pollen and when this is used to pollinate a female plant the end result will give 99% female plants. Over the last decade, the quality of the feminized seeds has increased enormously so you will no longer have to worry that the quality of the seeds/plants is in any way inferior to their regular counterparts! Are feminized seeds more susceptible to hermaphrodism? Marijuana plants all have male and female chromosomes, this means that a cannabis plant can produce both female and male flowers, this occurs when the plant experiences stress such as changing the light cycle or a large temperature drop. Unlike the rest of the seed market, Sanniesshop only uses plants which have been selected from regular seeds, to ensure that the offspring is as strong as possible and always just 1 step removed from the regular version. So no breeding with feminized plants but only strong selected regular elite clones. This ensures a stronger offspring with higher potency, increased flavor and more powerful plants that will be far less likely to give hermaphrodites. We try to go against mother nature as little as possible since after all, she is our biggest example. Growing with feminized seeds will make organizing your growing area a lot more pleasant and costs less space. When using regular seeds you will have to remove 50% of your plants which costs valuable space and aggravation. Feminized seeds will only produce female plants so you can take this into account when planning. This has been a huge improvement because, after the arrival of the feminized seeds, a large part of growing with cuttings has been made superfluous. Please note that in feminized marijuana seeds (just like regular seeds) each seed is a separate plant (phenotype) with its own characteristics. Our feminized seeds are cultivated and selected on stability and strength, yet each plant is its own individual. This makes breeding from seed just as appealing and increases the possibility of finding a real winner. The intention of Sanniesshop is that feminized seeds are used solely for growing and smoking. We do not advise to continue with plants (seeds) that come from feminized seeds. We ourselves only use plants which are selected from regular seeds to continue with and thus to make feminized seeds. We also never use 1 plant to pollinate itself but always use two separate pheno types (sisters or two different species) to create feminized seeds. The fact that we do not recommend this does not mean that it’s not possible. We’ve seen evidence that it can work in some cases, however, equally many cases where this went wrong. That is why we do not take any chances and only use the strongest and purest genetics to work with and over the past years, we have proven this was an excellent choice. Finding the perfect plant from feminized seeds and cloning them to use as a mother plant for your cuttings is a great way to combine the best of the two worlds.